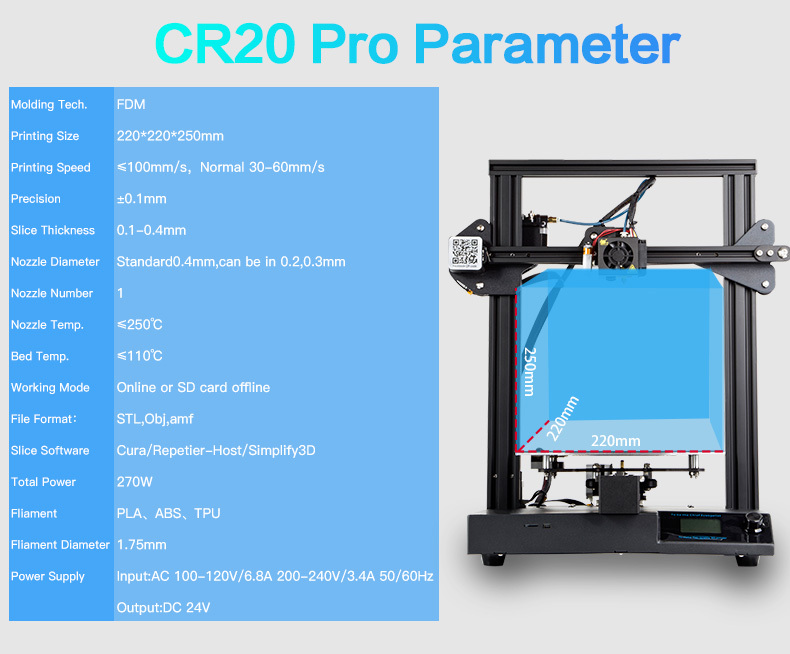 Buy the Creality CR-20 PRO and you can 3D print with a very reliable, easy to use and super precise 3D printer. 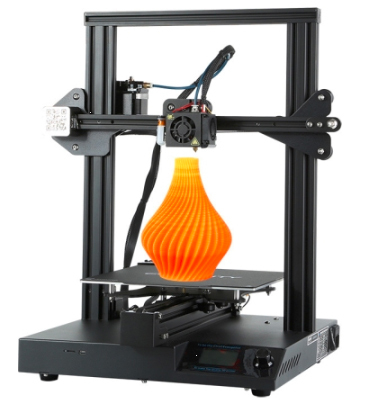 This machine offers an unbeatable price-performance ratio. 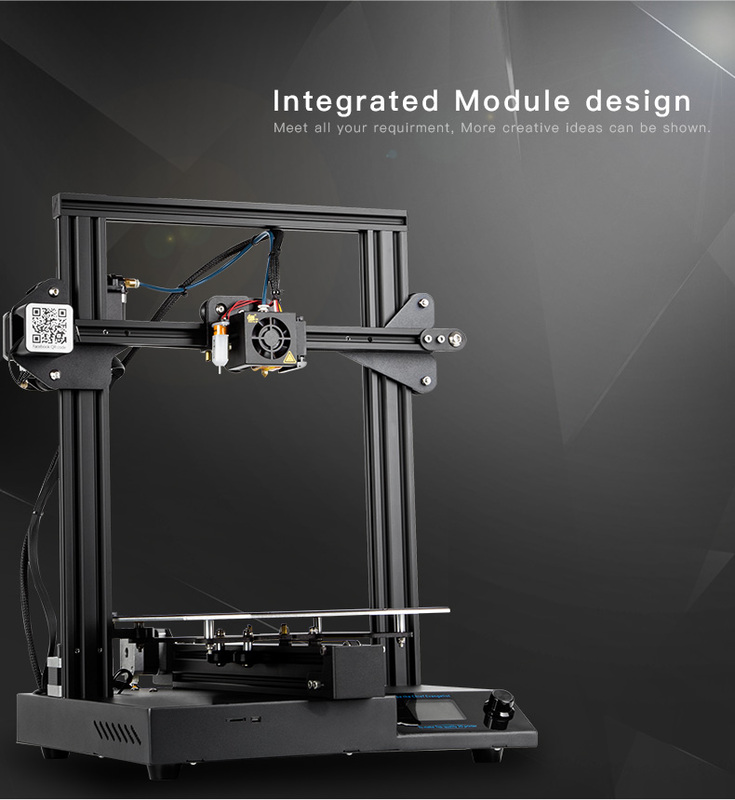 The optional easy to add filament sensor detects the filament status of your 3D printer. 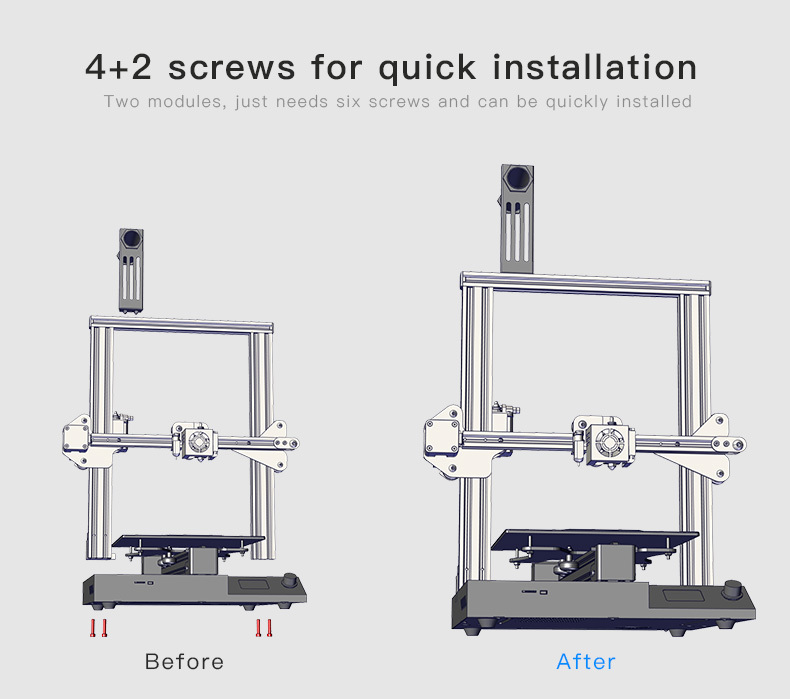 This causes your CR-20 PRO to pause 3D printing when the filament has run out. 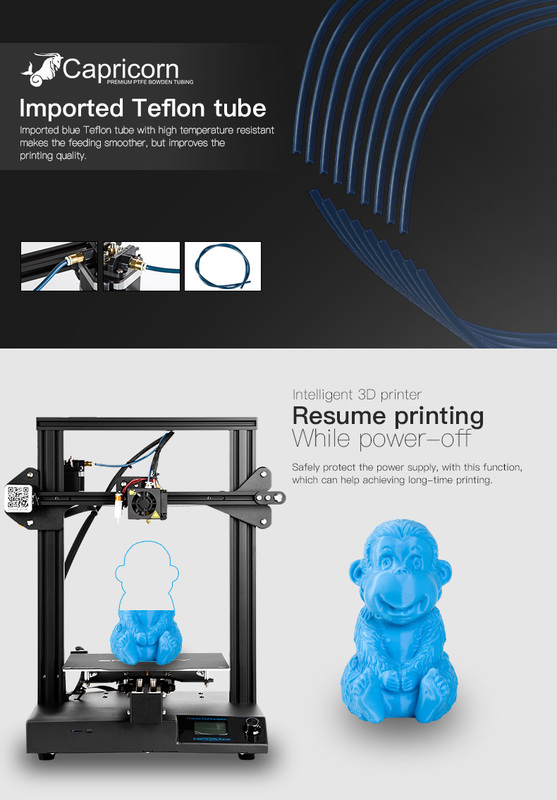 Add new filament and resume 3D printing. 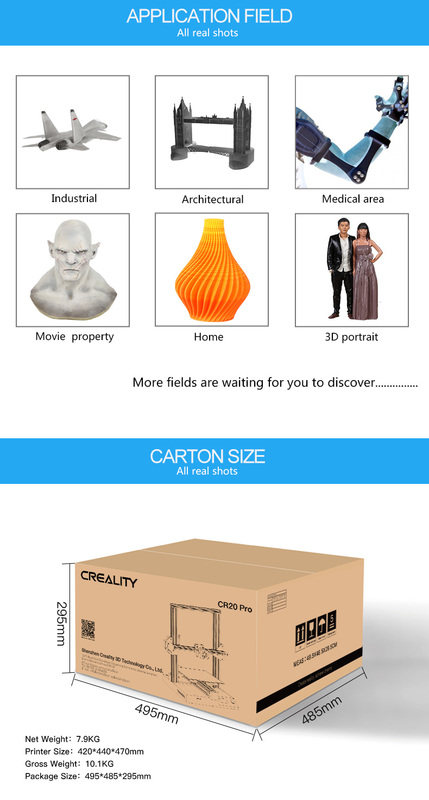 Buy the Creality3D CR-20 PRO and you get an easy to use, precise and very reliable 3D printer. 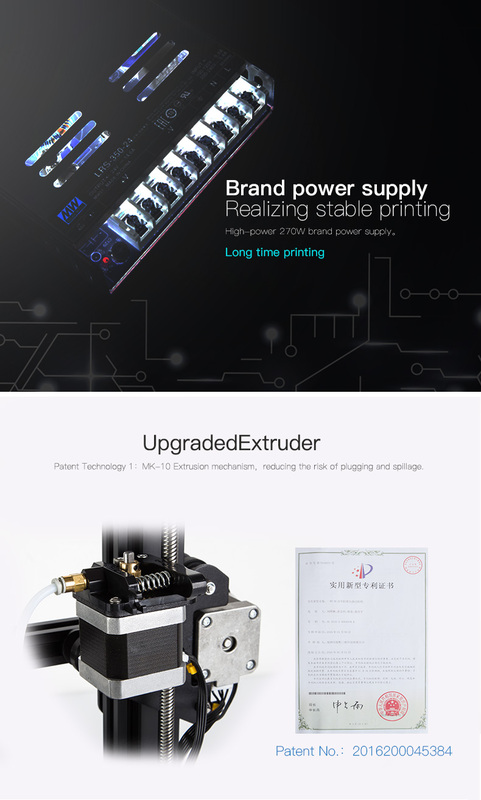 High quality extruder: Patented technology 1, MK-10 extrusion mechanism, avoids unnecessary clogging and poor spillage. 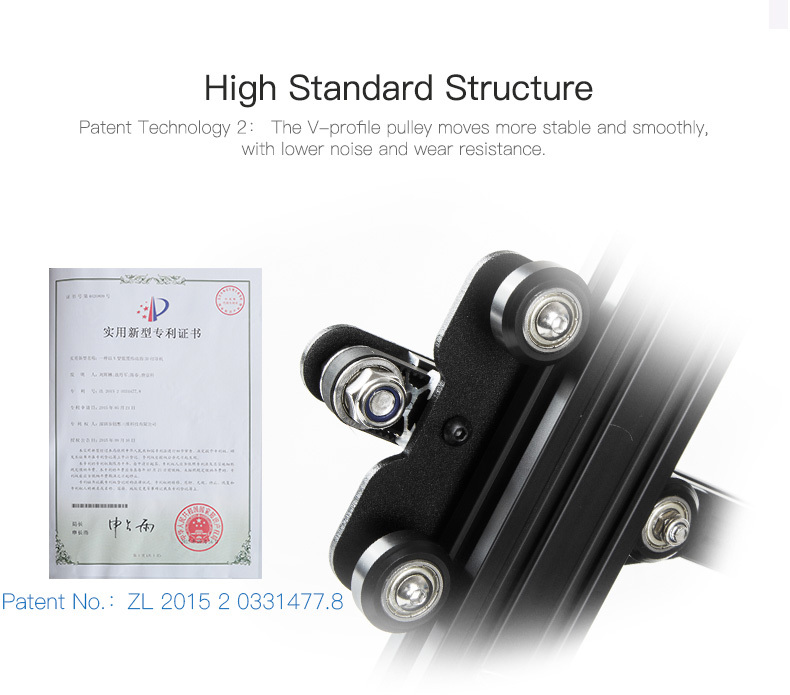 High quality structure: Patented technology 2, V-shaped pulleys, running more stable and smoothly with less noise and is more wear-resistant. 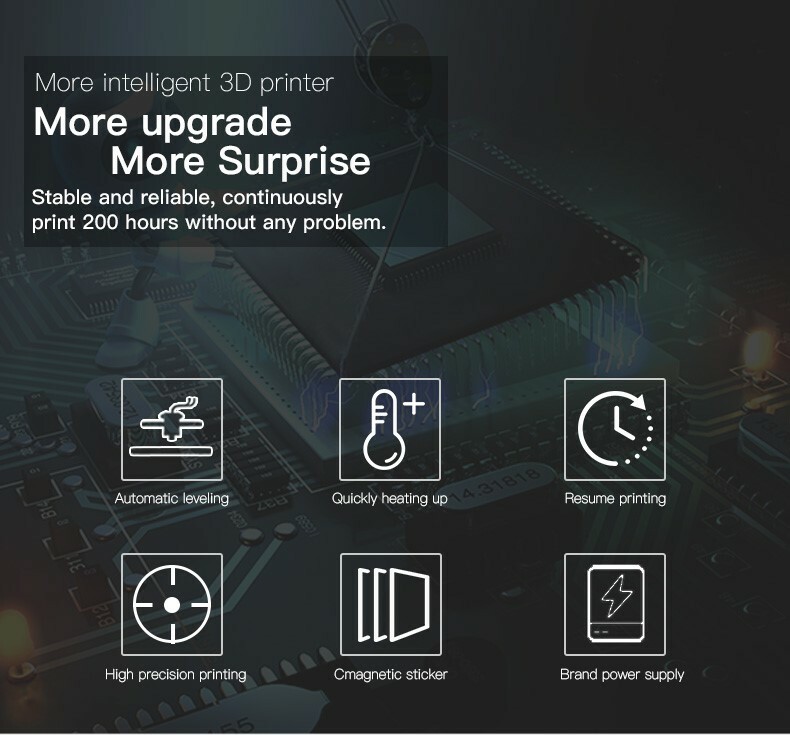 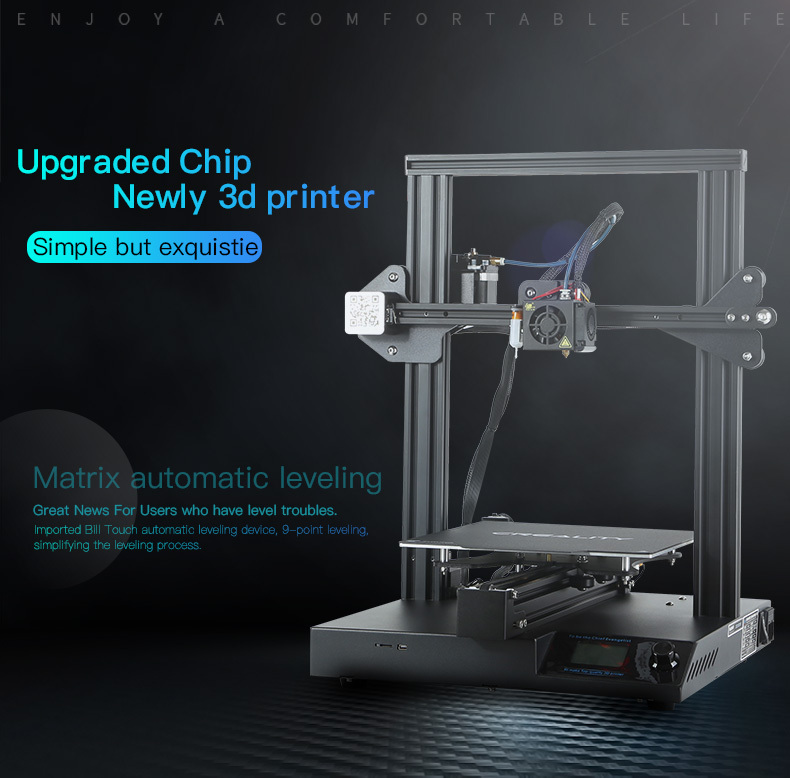 Enhanced 3D print stability: The 4040 profile and the Y-axis U-type passive block which use on the Y-axis, makes it 3D print more stable as well as the manufacturing quality is guaranteed. 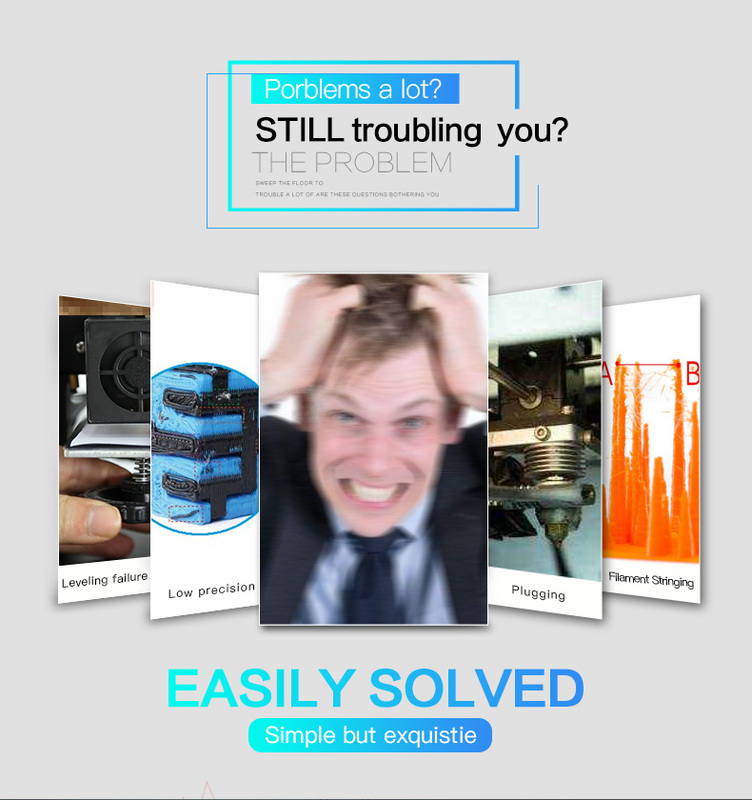 Meanwell Power supply: made by the listed company with a history of over 30 years, mature technology ensure better user experience. 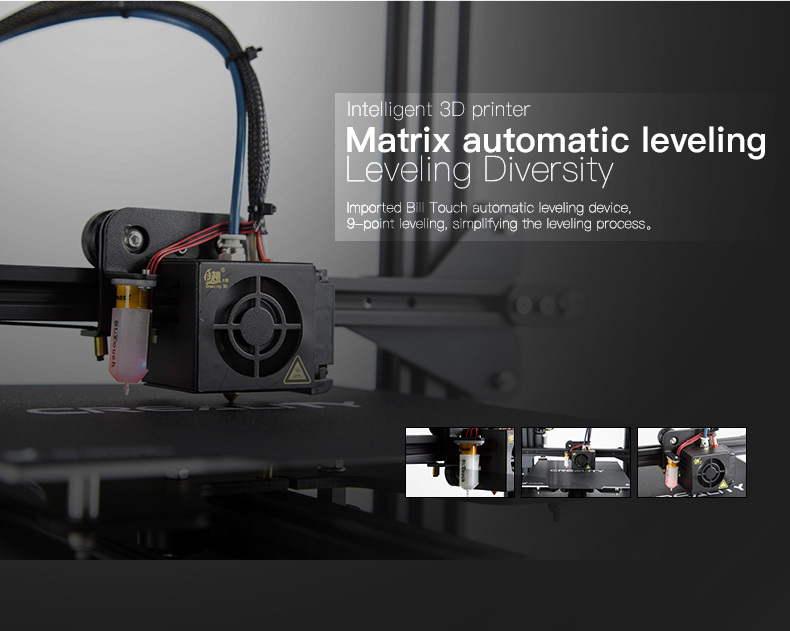 Simple leveling method: Bill Touch automatically leveling is added, 9-point leveling method to make leveling easier. 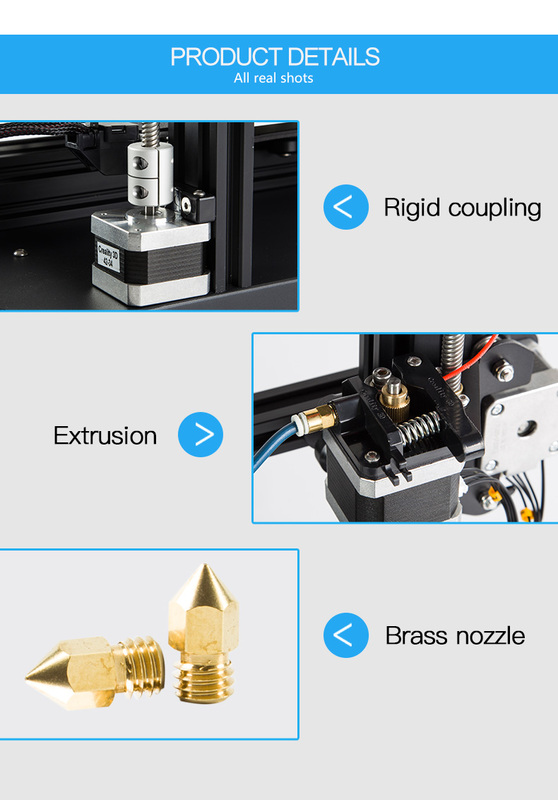 Imported guide tube: Imported blue teflon tube, ensure filament feed in more smoothly. 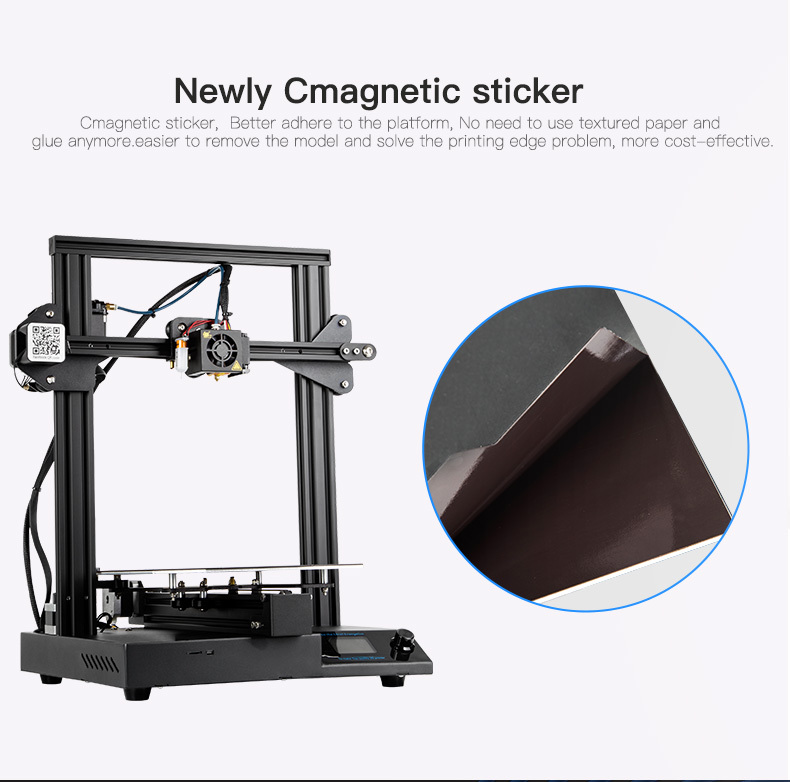 New platform sticker: Cmagnatic sticker is used on the platform, which replace the traditional textured paper and glue, easier to take out the model, with good adhesion, solving the problem of warping and more cost effective.